UK Prime Minister Tony Blair will chair the first meeting of the Commission for Africa at Downing Street on Tuesday. The 14-member commission has been launched to tackle the many problems facing the continent. The UK minister for international development, Hilary Benn told BBC News Online "it is time to take a fresh look at Africa and what can done to help". 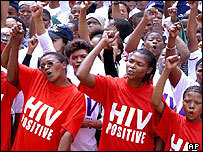 Among the issues on the agenda will be health - including Aids/HIV - poverty, conflict, and education. 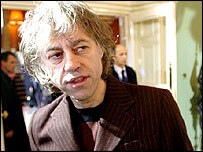 UK Chancellor Gordon Brown and Live Aid founder Bob Geldof will also join Tuesday's talks which will see the commissioners set out the themes to be addressed over the next year, before they present their findings at the G8 summit in July 2005. Mr Benn, who is one of the commissioners, said that "Africa is the only continent that has grown poorer over the last 25 years". He warned that although there are now fewer conflicts in Africa than there have been in the last 10 years - and positive new initiatives, such the New Partnership for Africa's Development, known as Nepad, are underway - not enough was being done. Mr Benn said that progress on beating Africa's massive poverty problems is not happening rapidly enough and that without much greater effort from the global community it is clear that the Millennium Development Goals will not be met. The goals, agreed at a United Nations summit in 2000, set an agenda for tackling some of the most urgent global problems by 2015. "This commission is a very important event, a chance to make sure we keep the focus on Africa, building momentum and political will," Mr Benn said. The timing of the commission is particularly crucial, Mr Benn said, being created to coincide with Britain's twin presidencies of both the G8 group and European Union next year. There has been concern among some charities that with the EU expansion on 1 May both European funding and attention will switch from Africa to the new EU member states. Among the 14 commissioners are some high-level Africans, including Ethiopian Prime Minister Meles Zenawi and South African Finance Minister Trevor Manuel. "This is a chance for people to tell the commission what we need to do, we are very keen to hear from people in Africa, as well as reaching out to the diaspora." One of the key difficulties facing Africa is the lack of good governance. There has been widespread criticism that the UK is allowing double standards to persist by not doing enough to tackle the situation in Zimbabwe. Mr Benn is highly critical of Robert Mugabe's government: "There are no two ways about it: The government in Zimbabwe has brought the country to its knees... who would have thought 20 years ago that the country once known as the bread basket of Africa would not be able to feed its own people?" However, he warned that initiatives such as Nepad and the Commission for Africa "should not be judged by Zimbabwe alone". He said that there were positive signs of change in Africa, with greater stability in countries such as Burundi and Liberia, and that now was the time to act on that impetus. 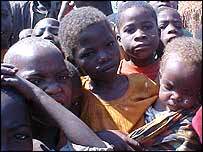 "Africa is crippled by poverty and is a long way from reaching the UN's anti-poverty goals. Any initiative that provides real solutions is a welcome step." This was a view echoed by Mr Benn who said that with all the problems facing Africa "surely it is better that we are talking about the situation, than if we are not". "It's hard to see how Africa will benefit"